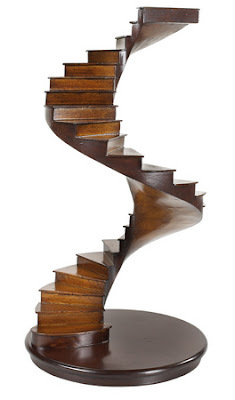 A beautiful architectural model of spiral stairs. I love it as a piece of decor and it is the only way I will get beautiful stairs in my home. It is available from many sources online - just search on Architectural Stair model. It is in a home located in Poland and design by Damian Cyryl Kotwicki. 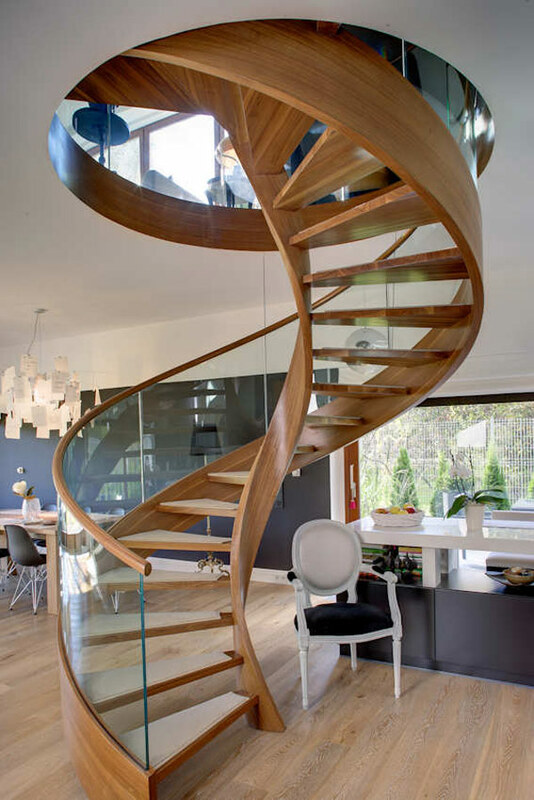 Love love love spiral stairs!